The Steele Family Foundation selects its causes and charities with careful analysis and due diligence. We look for efficient and effective charities who maintain honesty and integrity, while achieving positive results. We currently do not accept unsolicited grant applications. The Bethell Hospice Foundation exists to raise funds to ensure the ongoing operation of Bethell Hospice in the Inglewood, Ontario community. SOS Children’s Villages is an international children's charity that offers safe and nurturing family homes to over 75,000 orphaned and abandoned children in 134 countries around the world. 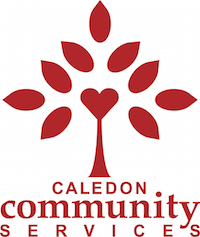 Caledon Community Services (CCS) is a multi-service, community-impact organization, with avision of "Healthy, Engaged, Compassionate Community for all”. As Canada's largest homeless youth agency, Covenant House Toronto changes lives by providing the widest range of services and support under one roof. "The Good Shepherd", as Good Shepherd Ministries is affectionately called, is a place to get a hot meal, clean clothes, a safe, clean bed for the night. It's a place to go when you need someone to listen, someone to help. Since 1952, the Heart and Stroke Foundation has been working to reduce the toll of heart disease and stroke and tangibly improve the health of all Canadians. Hockey Helps The Homeless raises money through its fantasy hockey tournaments help to fund the work of 40 homeless support agencies that share its goal of ending homelessness. The Humanitarian Coalition brings together five members of Canada's leading aid agencies to finance relief efforts in times of international humanitarian crises. For over 40 years, JDRF (Junior Diabetes Research Foundation) has been a global leader in the search for an end to type 1 diabetes (T1D), through both research funding and advocacy. The Missionaries of Charity was founded by Mother Theresa in 1948, to be a channel of God's love to Calcutta's Poorest of the Poor. Its Toronto chapter was established in 1985. The Central Ontario Developmental Riding Program (C.O.D.R.P. )/Pride Stables offers therapeutic horseback riding lessons to people with disabilities in the Cambridge, Kitchener, Waterloo and surrounding areas. Sharelife was established by the Roman Catholic Episcopal Corporation for the Diocese of Toronto in Canada. Sharelife reaches out to those in need through its 34 agencies by raising and allocating funds and fulfilling its obligation to respect life at all stages. St. Felix Centre is a non-profit community centre in downtown Toronto dedicated to helping individuals, families, and children experiencing challenges such as poverty, abuse, homelessness, mental illness, and addiction. Urban Promise Toronto supports the social and educational development of children, youth and families living in Toronto Community Housing by preventing youth from entering into high-risk behaviours.